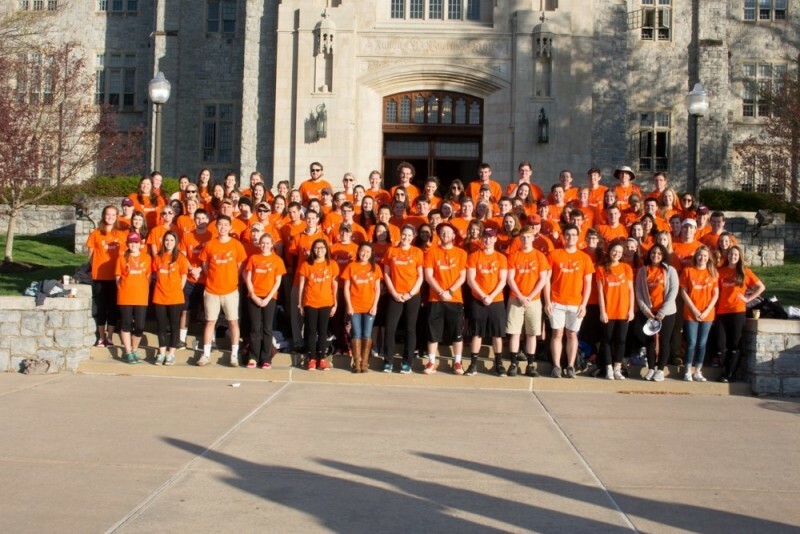 Even with the colder than usual weather, it is very imperative that your entire team shows up to the drillfield as over 1,200 residents are relying on Hokies to live out Ut Prosim. Each volunteer and team has already been matched to jobs and no-show teams reflect very poorly on Virginia Tech and The Big Event. – It will be cold and windy outside so please dress appropriately. Some jobs will occur outdoors, but feel free to take breaks and warm up while working on your project. FREE t-shirts for all volunteers! Come take pictures with your team! More to be added, stay tuned to our Facebook and Twitter for updates! 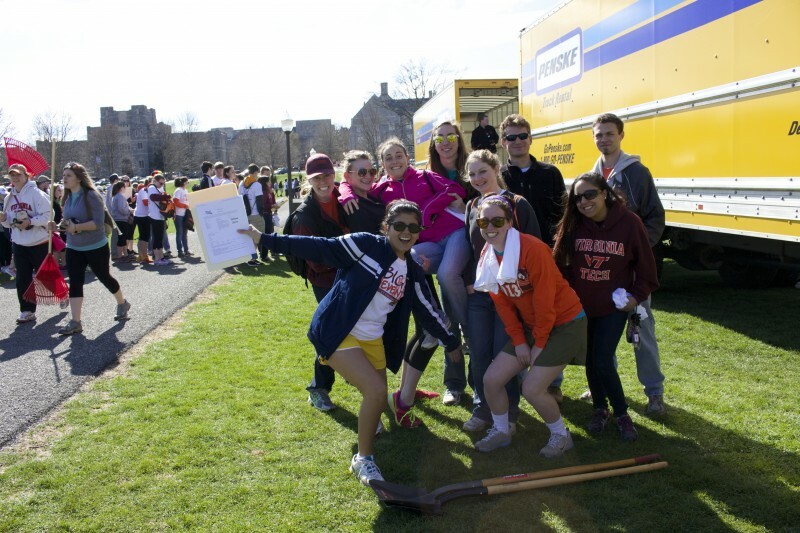 The deadline to register to volunteer has been EXTENDED! Make sure to sign up by April 4th for this year’s Big Event! We are less than two weeks away from The Big Event! Due to a number of requests for a weekday project check, we are having one this week on Wednesday, March 30. Please fill out the survey if you want your project checked this day. Due to this check being on a weekday, we might not have as many committee members available to check projects, so even if you do request your project to be checked on Wednesday, there is no guarantee we will be able to do so. We have our last project check on April 2 and will check the remaining projects then. Our committee will be checking projects from 5-7 pm, so we can check projects after people are home from work. You should receive a phone call from one of our committee members between 5-6 PM to confirm that you are home and available for the check. The project check should last no longer than 30 minutes. Thank you for being patent as we finish checking the remaining projects. We look forward to completing your project on April 9th! 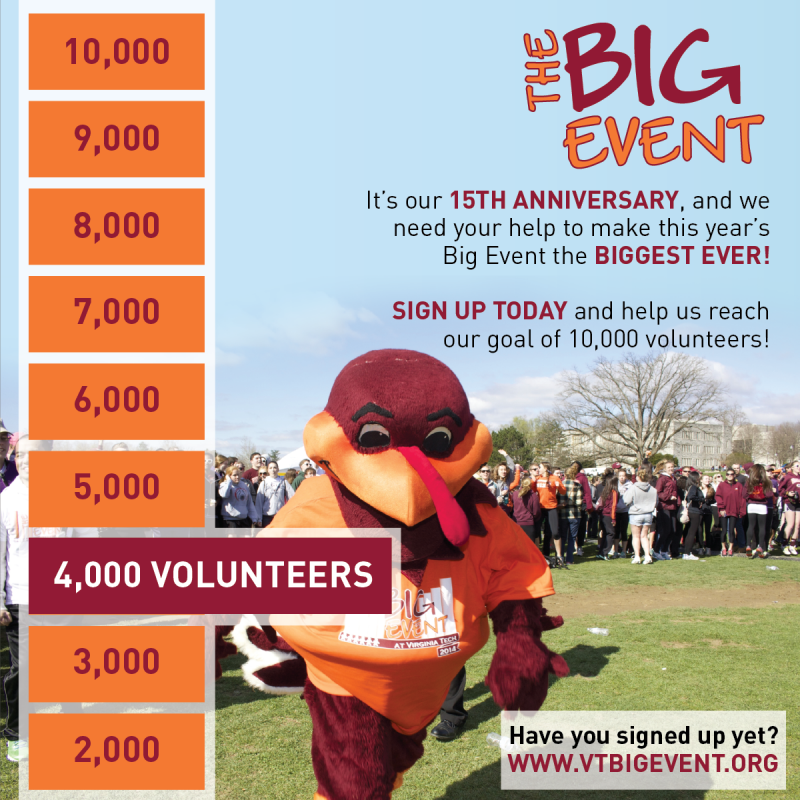 We have reached 4,000 volunteers! That is 40% of the way to our goal of 10,000. Make sure all of your friends sign up, so we can have a record breaking number of volunteers! So far we have had two very successful project checks! Reminder: There are three more project checks on March 19th, March 26th, and April 2th. 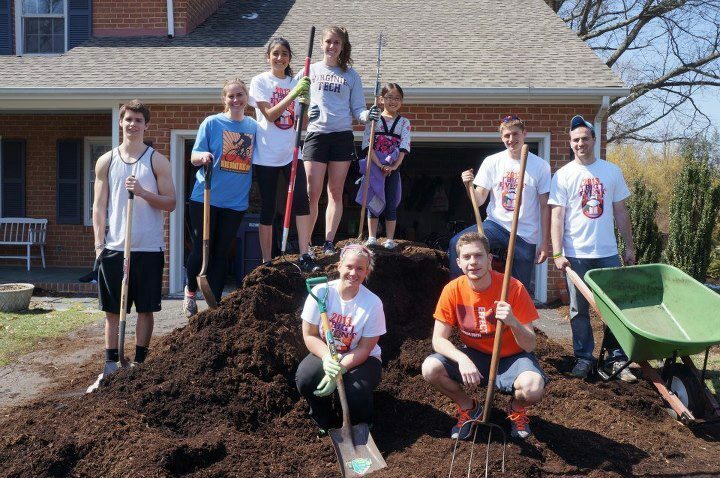 Project checks are done at every job site before the actual day of the Big Event and let us confirm that a project is doable within four hours, that an accurate number of volunteers are assigned to a project and lets us answer any questions you may have. Keep up the good work Hokies!